Example Remote viewing examples from the Remote Viewing programs. Well, this is what most people want to see more than anything is examples. Below we will list some of the Star Gate project training sessions from the remote viewers using mainly the Remote viewing techniques of CRV (Controlled Remote Viewing) and ERV (Extended Remote Viewing) two of the main methods used and one developed by SRI and its subcontractor Ingo Swann. Click here for a Star Gate and Remote Viewing History infographic detailing: projects, dates, key events, and all people involved. For those looking and for future use/research. the entire STAR GATE FOIA document archives are available online in various forms. A Full/Complete set of documents and hyperlinked for free download, plus more. Also includes instructions and file to download and create a Searchable set of the documents so you can search inside them for individual words/phrases. The 12,000+ STARGATE documents from CREST are now online in PDF format. STAR GATE was an umbrella term for the CIA, DIA, etc. effort that used remote viewers who claimed to use clairvoyance, precognition, or telepathy to acquire and describe information about targets that were blocked from ordinary perception. The records include documentation of remote viewing sessions, training, internal memoranda, foreign assessments, and program reviews. The STAR GATE program was also called SCANATE, GONDOLA WISH, DRAGOON ABSORB, GRILL FLAME, CENTER LANE, SUN STREAK. 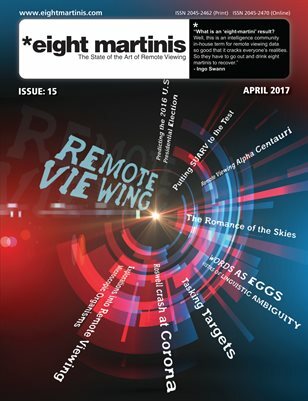 Daz Smith – http://www.remoteviewed.com – A small selection of STAR GATE documents and rv sessions.